One New Aftermarket Replacement Tie Rod Tube that fits Several John Deere Tractor Models. Replaces Part Number: FRT40-0063, LVU11249, TPLVU11249. 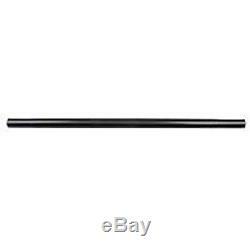 The item "Tie Rod Tube fits John Deere 3120 4400 3203 3320 3520 3720 4200 4210 4300 4310" is in sale since Tuesday, January 9, 2018. This item is in the category "Business & Industrial\Heavy Equipment, Parts & Attachments\Heavy Equipment Parts & Accessories\Antique & Vintage Equipment Parts". The seller is "reliableaftermarketpartsinc" and is located in Williamston, Michigan.